Cover shot: “Century of Honor” commemorating 100 of Scouting in the LDS Church. 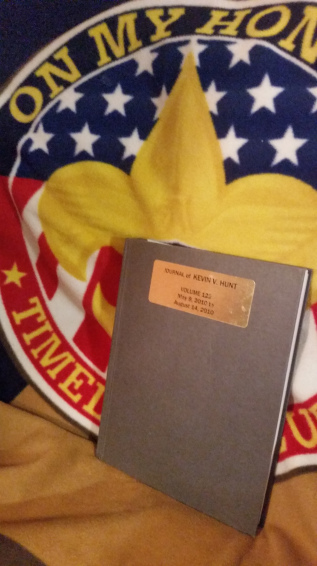 The development of the “Century of Honor” book – on the history of Scouting in the LDS Church – was recently chronicled in an article by author Nettie Francis on the LDS/BSA Blogsite. I invite you to view the full article History Highlights – Behind the Book. I did not do it alone – but was pleased to join a great team that came together with their own individual talents and expertise to make the book a reality. The book “Century of Honor” truly came together as a miracle and with Divine help and guidance. We all felt that power with us and I am grateful to have been a part of it! I then chronicled my personal journal entry for September 3, 2012. That was the date that I received the call from Mark Francis, Director of LDS/BSA Relations. The journal record details our conversation. It was an exciting call! Check out the journal entry! I also alluded in the article to “The Scouting Partnership” book that I had written years before – on the history of Scouting in the LDS Church. I said, “Years before I had written a history of Scouting in The Church of Jesus Christ of Latter-day Saints [originally titled, “The Scouting Partnership”]. This was a very exciting project for me. I believe that I was “directed” to create the book – and it was a miracle how I was given material for the book from the LDS Church Historian’s Office – and I later learned that I was the only person with whom this material had been shared. So, I felt a sacred responsibility as the “guardian” of the material. I would like to share with you a few more of the details of how the book came together in a rather miraculous way. This book was first written about 20 years ago (and has since been revised and updated a few times). Anyway, I had noticed that there was not a history of Scouting in the Church and knew well the impact of Scouting in the lives of the young men and adults of the church. I determined to write the History. The staff explained to me the mechanics of their library. They noted that I could have only five documents to be searched at a time. I looked in the card catalog to ascertain all documents on the subject of Scouting. I could tell by the descriptions the documents what I wanted and needed. I went to the counter and ordered the first five documents. The staff then said that I could have five documents in various areas of the library but could only physically have only five at a time. So, from that moment on, the staff was fully cooperating and assisting me. It seemed that all staff were working on my project that day. I soon had the documents with me. Five more were on the counter waiting for the return of the previous five. Five more were on the escalator coming down to me. Five more were sitting on the desk waiting to go down the escalator. And five more were being gathered by staff. As I finished one stack of five, I would return it. Then it would go up the escalator and all other stacks of five would advance one step. Once I had the documents, I could see immediately – yes or no – if I wanted or needed the document. I would then take them to the copier to be copied. This added another five books to my process and I would get more at the counter. This process continued for two full days. It was exciting and wonderful to feel the support of the full Historian Department staff. I could feel the Lord’s blessings as the cycle continued. A few years later, I received a surprise phone call. The caller said that the Church Historian’s office had given him my contact information. He identified himself as being from Ohio. Ironically, as we talked, we realized that we had been friends 30 or more years before – when he lived in Arizona as a teenager. Anyway, he noted that he had gone to the Church Historian’s with the same mission that I had – to write a history of Scouting in the Church. He was surprised at the reception that he received at the Historian’s office. It was very much unlike mine. He said that they told him, “We have already given that information to a Brother Kevin Hunt in Arizona.” They would not give him any help or new information. So, I think this is a significant fact – in that it means that I believe that I am the only person to whom the Historian’s Office has given this information. That being the case, I have felt all the more compelled (through the years) to get this book published so that Scouters of the Church can have access to it. I recognize d that it was not Kevin Hunt that said the stuff in the book – but that I was privileged to become the recipient of the material to share it with others. I knew that the material truly had come from generations of inspired Prophets and other church authorities – as inspired of the Holy Ghost. Still, for years the book sat “on my computer” largely unseen by the world of Scouters whom I knew “needed” to see and read the material. So, this phone call on that Labor Day was particularly exciting. And so, with this background, it was particularly exciting to receive the call on that Labor Day night – in 2012 – inviting me to become a member of a team of historians charged with the task to create a history of Scouting in the Church – even a Century of Honor. Well, that was the beginning … Later I received notification from Mark relative to the upcoming committee meeting. I was unique in that most of the group would be meeting in person in Salt Lake City – but I was in Arizona – and unable to make the regular trips to be there in person with the committee. But, the plan worked out okay. Each time that there was to be a meeting, arrangements were made to get me into the committee meeting. I was even asked once to offer the opening prayer for the committee meeting. And I guess the prayer even made it through cyber space to where it needed to be. It was a bit challenging – since when I wanted to say something (and not being able to see the group – having only audio), I had to kind of interrupt and make my suggestion or comment). I – and they – got used to this and it worked. I was pleased and grateful that my research and the finished book product of years ago now became the foundation for discussion and further research in the creation of the “Century of Honor” book. That was a great blessing and the beginning of a dream come true. And so, we worked together as a team and ultimately brought forth the great book, “Century of Honor”. And what a book it was! It was so exciting to be a part of the editorial team and to share the completed book with the world. (And the book is “out there” now and is available for all interested in the legacy of Scouting in the LDS Church.) The book is available for purchase through the LDS/BSA Relationships office or click here to order a copy of “Century of Honor”. It is also available at many Scout Shops throughout the country. And incidentally, being on the committee also gave me the motivation to again revise my own book and I actually published it this time and made it available also to the world. I was pleased to have Elder Vaughn J Featherstone – himself a former General Young Men President – write the Forward to the book. The book was published as “Scouting in the LDS Church – A Centennial History”. And now as I look at the two books – “Century of Honor” and “Scouting in the LDS Church”, I believe that there is “place” and need for both. Each is unique and different but together they make a great composite history which together document the history and legacy of this great Scouting/LDS Church partnership that has served both organizations so well in a century – and now into the second century. The “Century of Honor” book has a plethora of wonderful photos and “Scouting in the LDS Church” has a more detailed narrative of the history of Scouting in the LDS Church. So, together they complement each other and provide a great history of the Scouting legacy in the church. And my involvement with the writing of the “Century of Honor” book, also brought other connections and opportunities for me. These were unplanned but turned out be be great blessings. So, these make me even more grateful to have been a part of this “Century of Honor”. One of the really great opportunities was to attend the program (of the same name) that was staged by the Church in the giant Conference Center” in Salt Lake City. This became a grand celebration of the LDS/Scouting relationship. And with my “Century of Honor” involvement, I actually had a front row seat and saw the fabulous show “up front and personal”. I never would have imagined myself in such circumstances … but there I was – and I enjoyed every moment of that spectacular show. I have shared my feeling of that night in a blog which I created as I took on the opportunity to blog about Scouting. I invite you to read this [again] if you have interest. The article A Century of Scouting and What it Has Made Me sums up my feelings of Scouting and being an LDS church member – and author. And again as I write this current article, I express again my gratitude for being a part of the Century of Honor. Being on the “Century of Honor” committee, I was able to make two different trips to Utah. On one such trip, our writing committee dined with and mingled with many great BSA Scout executives. The LDS/BSA office invites many Scout Executives to come to Salt Lake City for a relationship conference a couple of times each year – usually coinciding with the semi-annual General Conference of the Church. At the April Conference, I happened (with my wife) to sit next to Lynn Gunter, a Scouting professional from the Trapper Trails Council in Ogden, Utah. He knew Vaughn Featherstone personally and was able to connect me with him to get him to write the Forward for “Scouting in the LDS Church”. The connections and blessings from “On My Honor” just keep coming and they keep me amazed – and grateful! It has indeed been a great Scouting Partnership – Scouting and The Church of Jesus Christ of Latter-day Saints! A hundred years together … a marvelous history, a glorious legacy for the Scouts of today and to those of tomorrow. Let us all rejoice in this great Scouting Partnership! 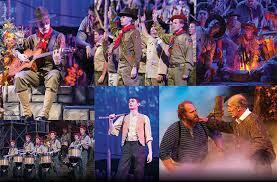 “One hundred years in the best of the Scouting traditions! What a legacy. What a heritage. What a great program – truly inspired of God. Now that’s something to celebrate.” And now, Let’s go for the second century! Author: Kevin |Best wishes along your Scouting Trails … Excerpts taken from Kevin’s many Scouting Trails books including “MR. Scoutmaster!”, “Keys to Scouting Leadership” and others at his Scoutingtrails website. Connect with Kevin and read his articles on Scouting blogsites such as The Boy Scout, The Scouting Trail and The Voice of Scouting. And on Facebook: Scouting Trails Books and Blogs. Feel free to comment on anything you read!